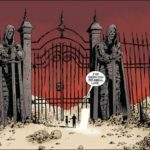 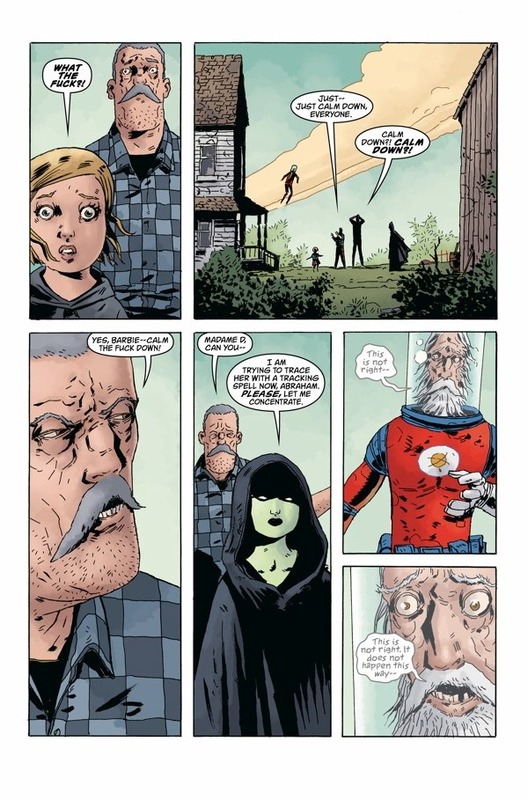 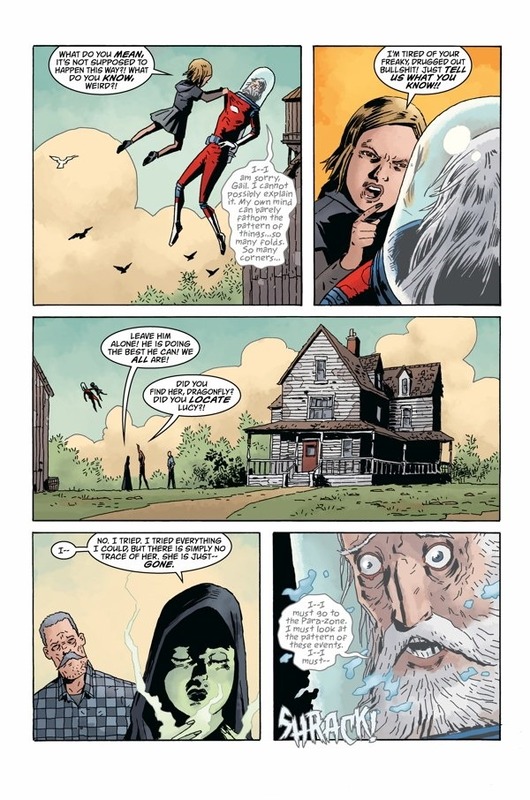 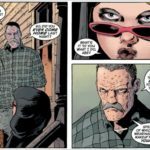 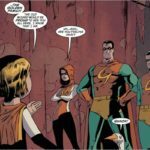 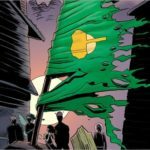 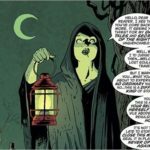 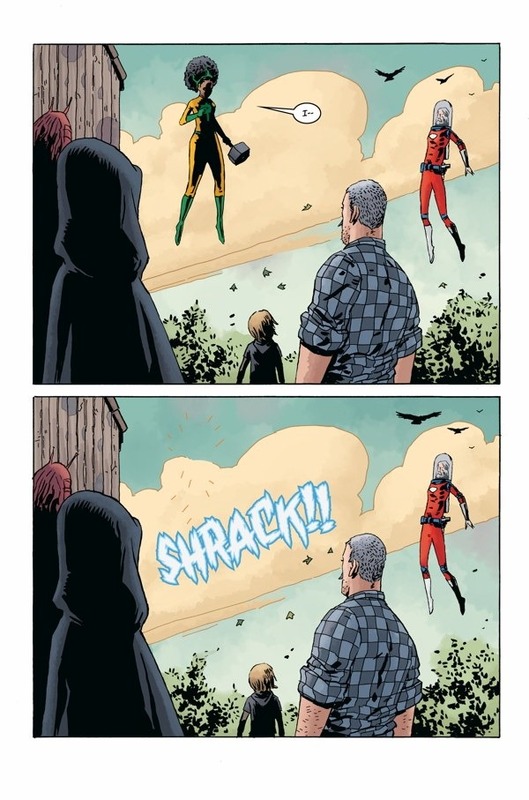 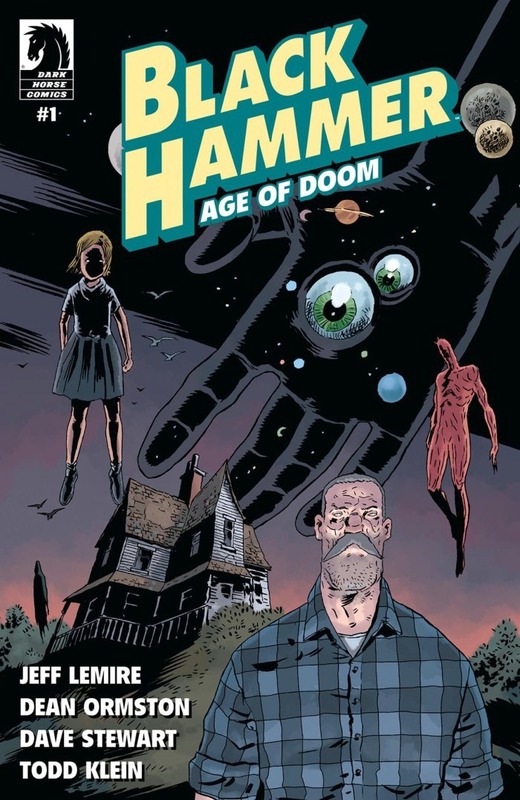 Here’s your first look at Black Hammer: Age of Doom #1 by writer Jeff Lemire and artist Dean Ormston, on sale April 18th, 2018 from Dark Horse. 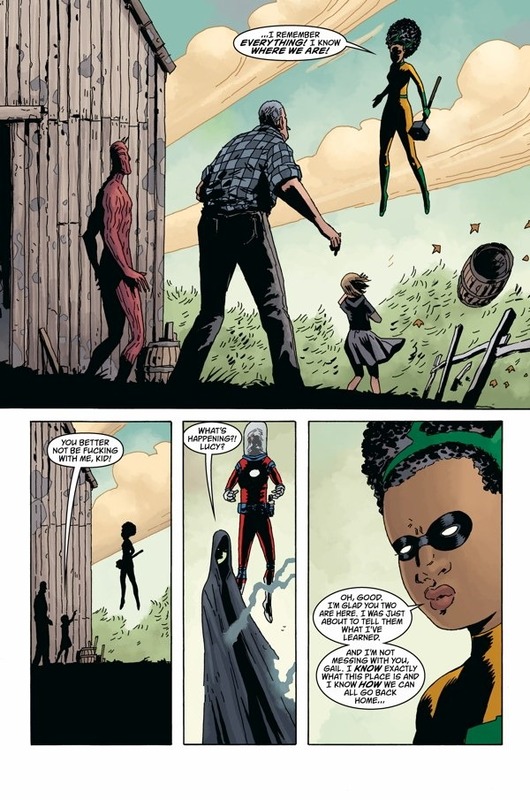 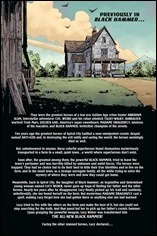 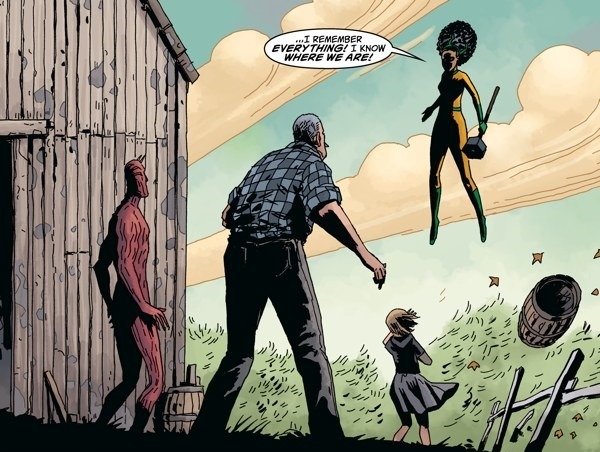 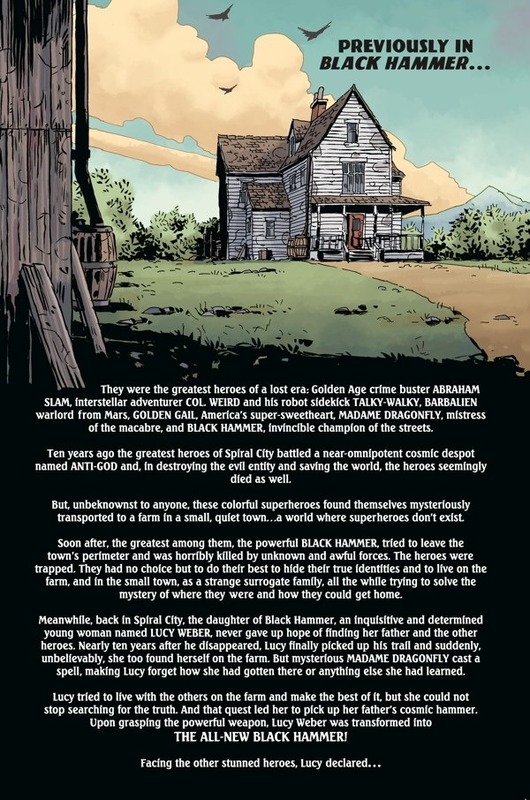 Picking up immediately where we left off–Lucy Weber has become the new Black Hammer and right as she’s about to reveal to our heroes how they got stuck on the farm and can escape she vanishes. 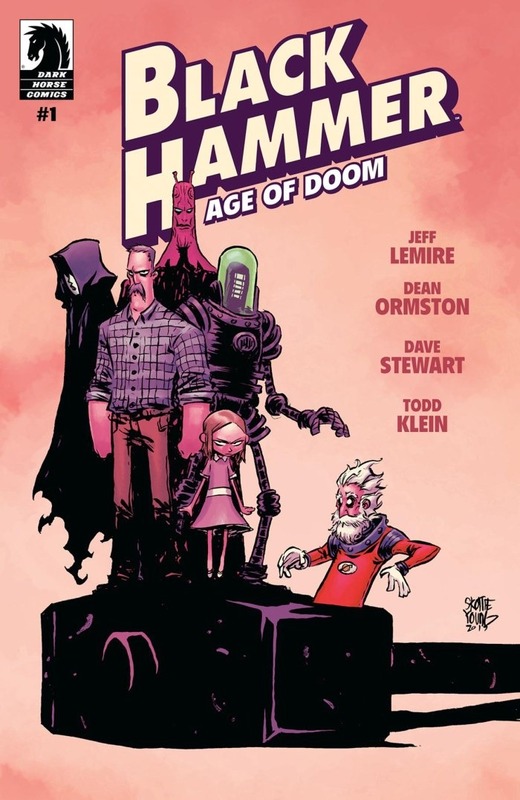 Now our new Black Hammer finds herself trapped in a gritty world filled with punk rock detectives, emo gods, anthropomorphic humans, absurdist heroes, and many more weirdoes, in a mad world in which there is no escape! 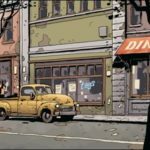 Previous story GIVEAWAY: Pacific Rim Aftermath #1 Signed by John Boyega!